Orange Tree Apartment situated on the second floor of Kiveri Apartments building. 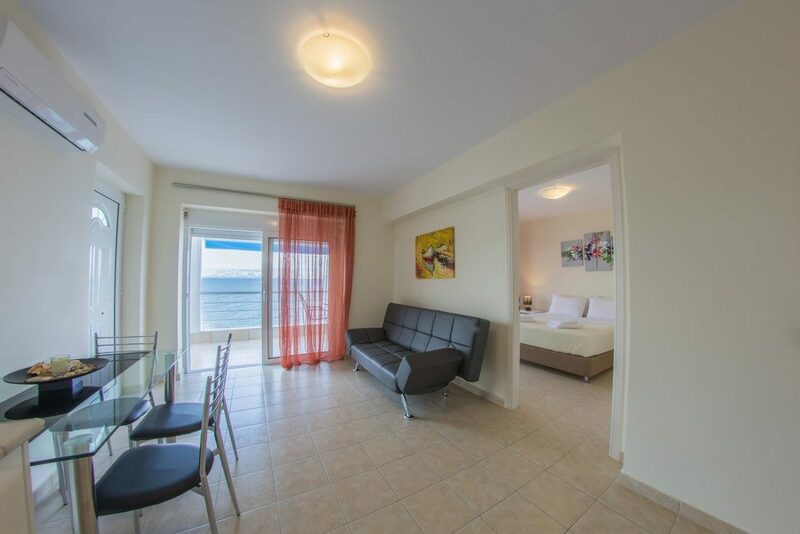 It is a spacious apartment, consisting of a living room with kitchen, two separated bedrooms, two private bathrooms and a big private balcony with sea view. 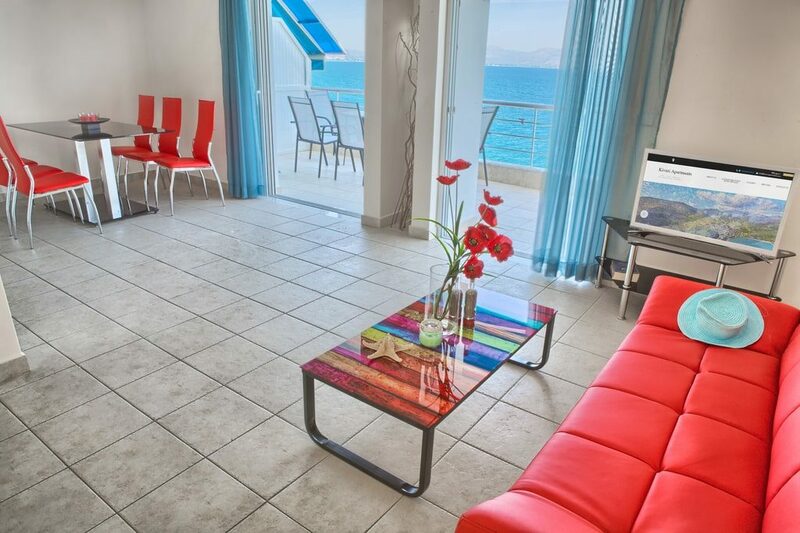 The living room offers a comfortable stay with sofa bed (185×116), sofa table and a 32 inch flat screen TV. In the kitchen area you can enjoy cooking at a fully equipped kitchen with family fridge, stove, electrical oven, microwave oven, cabinets, toaster and kettle and a clothes washing machine. 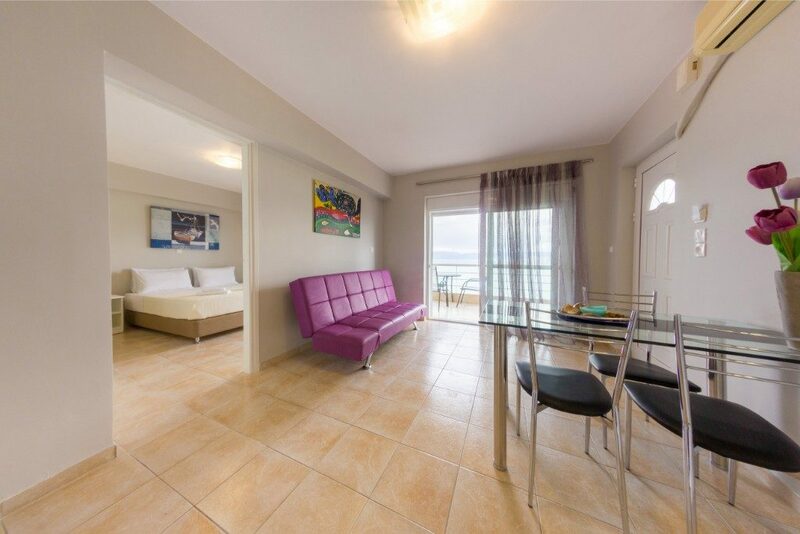 One of the bedrooms has a double bed which can be split in two single beds and the other one a double bed. Both bedrooms have nightstands, embedded closet, dressed with high quality bed linen and accompanied with all the necessary accessories. A baby cot may be provided free of charge upon request. However, all windows and doors have insect screens. 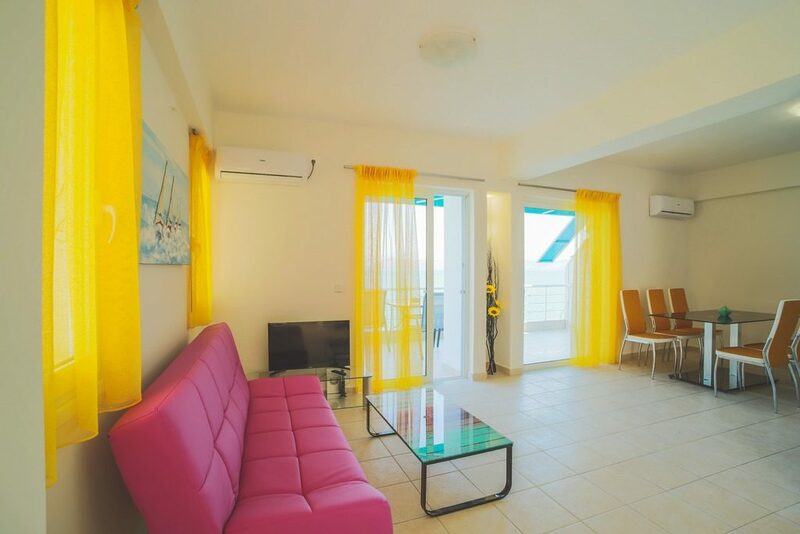 Orange Tree Apartment can accommodate up to 5 persons in comfort.